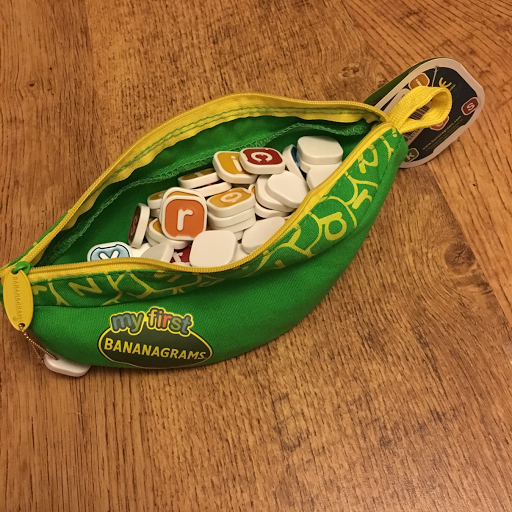 We love a good game and are always on the lookout for games that we can all play for family games nights, I have to admit to never hearing about Bananagrams though, although when I posted a photo on Instagram, so many people commented on how good it was, I couldn't believe it had passed us by. The best way I can describe bananagrams is like a simple version of scrabble, linking words but without using the board! 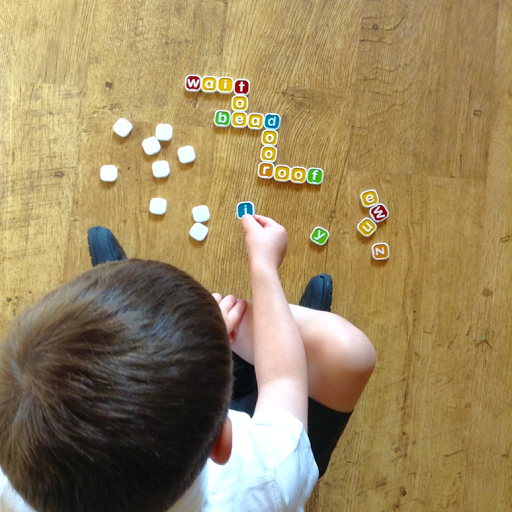 This version is aimed at children aged 4+ basically from school age when they are just starting to read and write, and is called 'My First Bananagrams'. 1. 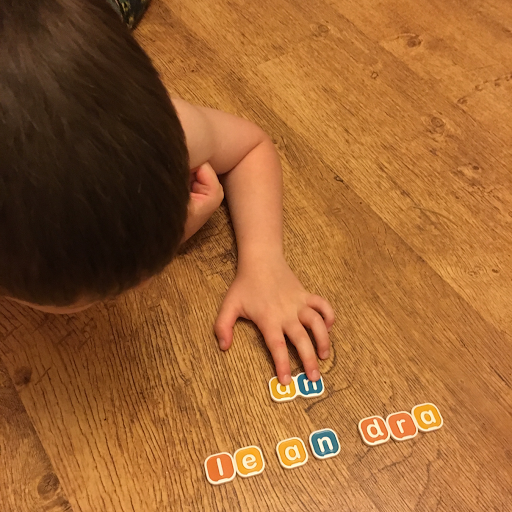 Letter recognition, playing the 'traditional' game but by jointly deciding a word and me spelling it out or writing it down for T to find the letters and make the word. 2. 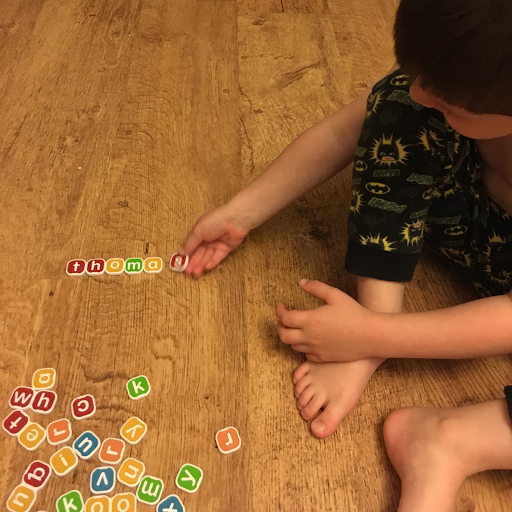 To spell words he already knows, like, Thomas, Mummy, Daddy, Bramham. 3. To talk about the difference between vowels and consonants. 4. Used the linked tiles and discussing letters which go together. You could even use them for our letter recognition with game tiles activity. Even without playing the full version of the game, they are so versatile and so convenient to pop in your handbag, I love how the game's rules differ depending on the ability of the child and that there are alternative mini-games to play for each ability, the mini games are fantastic and really handy as a prompt for parents. 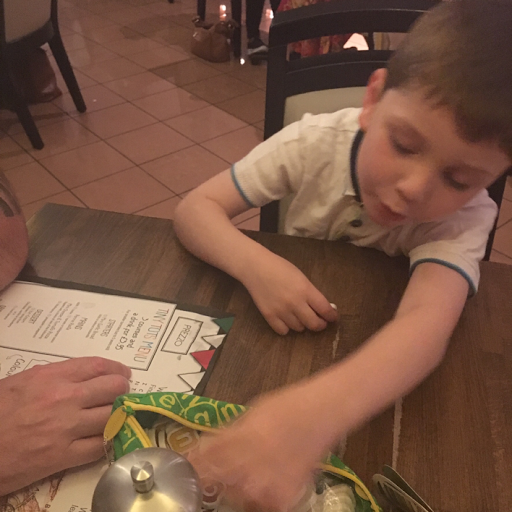 We are going to be taking ours away with us camping and have been using them in a restaurant, before school instead of TV and to unwind before bed. 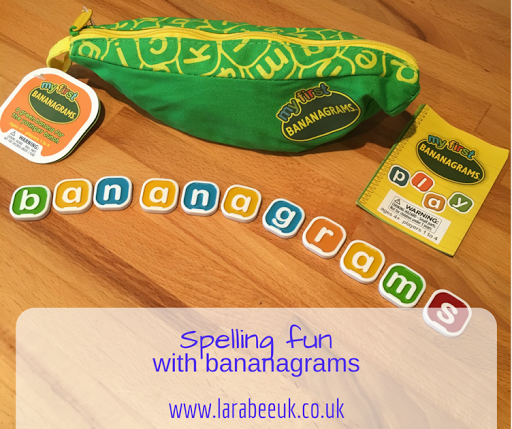 Bananagrams retails at £14.99 and can be purchased from Amazon. *Disclaimer, we were sent this game in exchange for our honest review.